Italians have a tradition of beautiful and cerebral films. Bernardo Bertolucci’s “The Conformist” is a film that is visually striking while teaching a lesson of morality and society at the same time. At the end of the film viewers feel they have learned a lesson while being entertained. 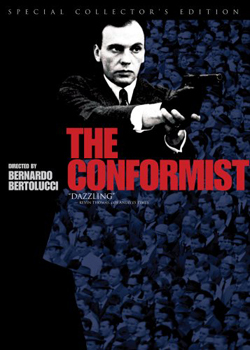 “The Conformist” was made in 1970 but is set in 1930s fascist Italy. Its protagonist, Marcelo Clerici, is a government employee in the fascist regime who is charged with killing his mentor and friend from college. The film explores his life and what influences his decisions and the results of these decisions. The film is stunningly and artistically shot with bright, striking colors. The viewer really understands why European cinema is so highly regarded from this era. The cinematography is noticeably good. The film stars Jean-Louis Trinignant as Clerici and Enzo Tarascio as Professor Quadri, his mentor. The acting is adequate and convincing but not stellar. The film’s cinematography distracts the viewer from any flaws in the acting or dialogue. “The Conformist” is a foreign film well worth your time.